Two men who handled stolen vehicles worth in excess of £1 million have been jailed for more than 11 years at Southwark Crown Court following a major operation led by the Met's Organised Vehicle Crime Unit. 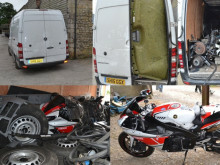 The investigation - named Operation Hipsometer - targeted two men who were receiving stolen motorcycles and Mercedes Sprinter vans stolen from across London, and then selling them on as cloned vehicles or as parts via Ebay. 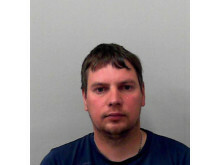 Mantas Balciunas, 35 (18.08.83) of Clevedon Road, Midsomer Norton, Somerset was found guilty of handling stolen goods and conspiracy to handle stolen goods. He was sentenced on Friday, 12 April to a total of seven-and-a-half years' imprisonment. 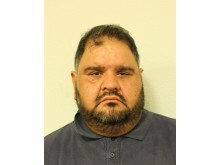 His accomplice, Liaqat Ali, 47 (27.09.71) of Westrow Gardens, Ilford, Essex was found guilty of conspiracy to handle stolen goods and was sentenced on the same day to four years and three months' imprisonment. Police were able to identify more than 100 vehicles that the pair were responsible for handling between April 2012 and September 2017, worth more than £1million. The vehicles had been either dismantled and sold as parts, used to repair genuinely damaged vehicles, or sold as complete vehicles to unknowing purchasers via Ebay, after their identity had been disguised with false number plates. Having linked the offences, on 27 June 2017, officers executed a search warrant at Balciunas' address in Midsomer Norton where he lived with his wife and young child. It was from here that Balciunas sold the majority of the stolen motorcycles and vans. Parked outside his house was a stolen Mercedes Sprinter van, which Balciunas was in the process of converting into a camper van / mobile workshop, to use himself as a keen motocross rider. A second stolen cloned Sprinter van was also found parked nearby with parts from other Sprinter vans recently stolen from Kent. 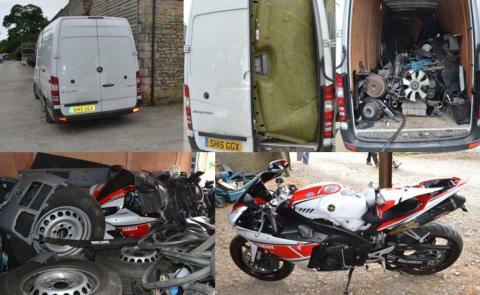 A further warrant was executed the same day at Balciunas' work unit, located on a remote farm in Frome, Somerset, which was where the stolen motorcycles were stripped and where stolen van parts were stored. A number of stolen Sprinter vans were found here, along with another stolen van containing more parts from stolen Sprinter vans carefully packed around a stolen motorcycle, stolen a few days before from Birmingham. In the unit were more stolen motorcycles, including one whose identity had been cloned to that of a German motorcycle, and another stolen from Camden ten days before. Between 2014 and 2017, Balciunas sold more than 40 stolen motorcycles and Sprinter Vans to unwitting buyers via three Ebay accounts he used. The majority of the vehicles had been stolen from London and the Home Counties. Detectives established that Balciunas was working with Liaqat Ali. On 19 September 2017, warrants were executed at Ali's home on Westrow Gardens in Ilford and his business address at a yard on Clockhouse Lane in Romford. Ali was operating a number of businesses from this yard including a mini cab rental and repair service, vehicle breakers, vehicle recovery and a storage facility comprising of shipping containers for rent. 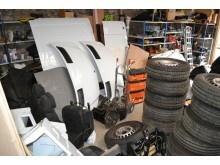 During this search, parts relating to yet more stolen vehicles were discovered. These vehicles had been stolen via a number of methods, including keyless car theft, robbery, test drive theft and burglary. An etching machine, designed to etch vehicle identity numbers (VINs) was recovered from one of the containers linked to Balciunas. Both men were charged with the above offences in February 2018. They appeared at Southwark Crown Court where they pleaded not guilty to conspiracy to receive stolen property. The trial commenced on Wednesday, 27 February and the men were found guilty on 15 March. "These two men ran a prolific and well-organised criminal enterprise. Balciunas was prepared to go to great lengths to convince purchasers that they were purchasing a legitimate vehicle and our investigation linked the offenders to a substantial number of offences. “Ali had clearly been operating a safe haven to which stolen vehicles from across London were taken for a number of years, prior to our intervention. "I hope today's sentence serves as a deterrent to those involved in this type of brazen criminality and reminds them that we will not stop bringing those responsible to justice."